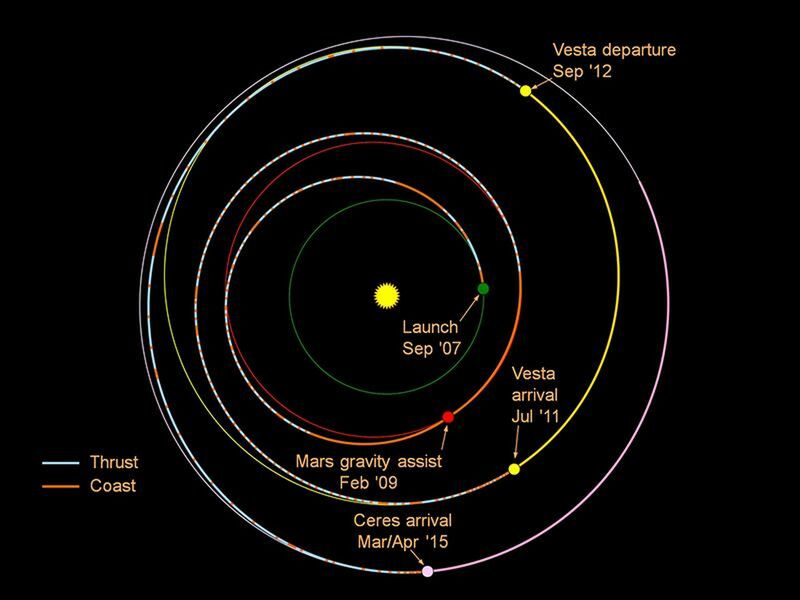 This graphic shows the planned trek of NASA's Dawn spacecraft from its launch in 2007 through its arrival at the dwarf planet Ceres in early 2015. 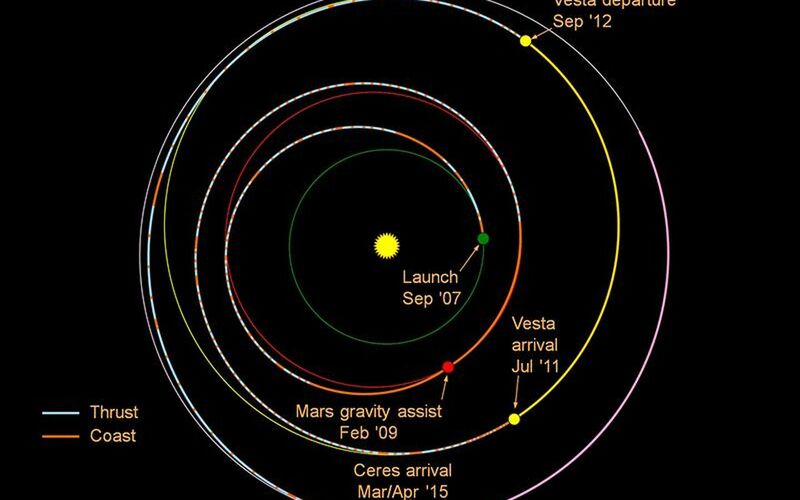 When it gets into orbit around Ceres, Dawn will be the first spacecraft to go into orbit around two destinations in our solar system beyond Earth. 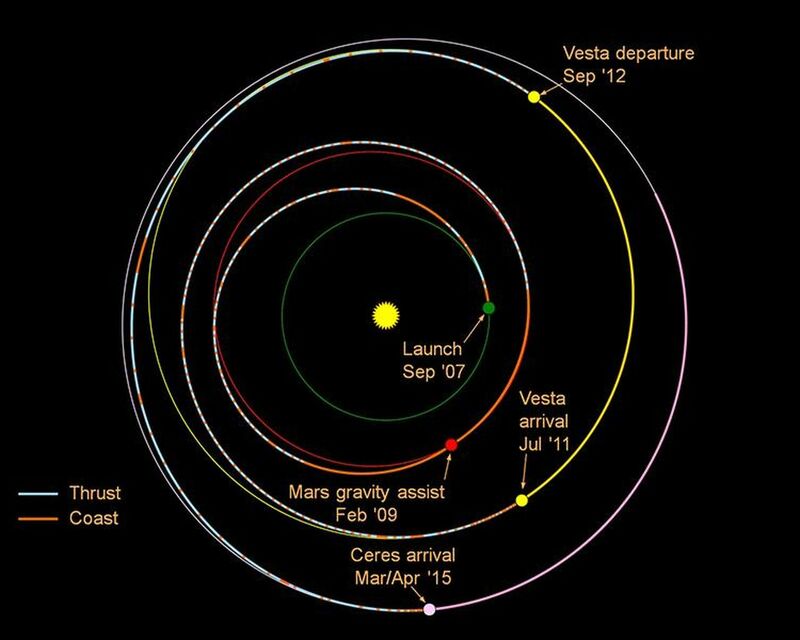 Its journey involved a gravity assist at Mars and a nearly 14-month-long visit to Vesta. For more information about Dawn, visit: http://www.nasa.gov/dawn and http://dawn.jpl.nasa.gov.